Preparations are underway for NASA to extend human exploration, beyond low Earth orbit and ultimately to the surface of Mars. This effort is complex with many challenges. Attendees will hear from practitioners how NASA is addressing many of these challenges. First, the overall architecture of NASA’s Journey to Mars will be reviewed; this architecture model provides an evolving scenario and planning tool to address and retire the many technical challenges in developing the technologies and gaining the experience we will need to achieve Pioneering on Mars. We will hear from the Jet Propulsion Laboratory, currently building the Mars 2020 Rover which will extend the mission of the Curiosity rover including caching interesting geologic samples for later return to Earth and the demonstration of creating oxygen from the Mars atmosphere. Next we will hear about NASA’s exciting new space vehicle to transport crews to cis-lunar space, rendezvous with an asteroid, and begin habitation testing in deep space. Anne Meier a research chemist for NASA will discuss her experience living in a habitat for 4 months in a simulated Mars mission and add her observations on the human challenges of long duration deep space missions. 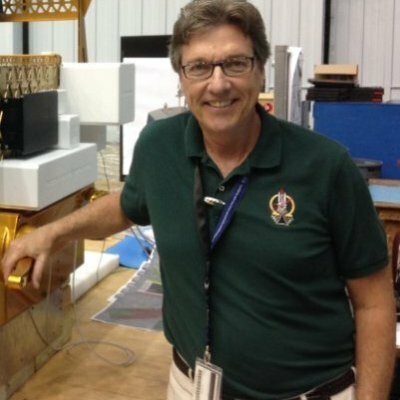 Finally Prof Scott Hubbard, Stanford University, NASA’s first “Mars Czar” will join the panel during Q&A, sharing his experience in both robotic & human exploration. Attendees will receive an excellent overview of challenges, plans and status of the Journey to Mars. There are many technical challenges to accomplishing a successful mission to Mars. NASA has an achievable and detailed plan for achieving a successful landing and the establishment of a robust exploration zone on Mars. The programs being implemented by NASA, it’s international partners and corporations are moving steadily toward achieving a safe, successful and scientifically meaningful Mars exploration campaign.